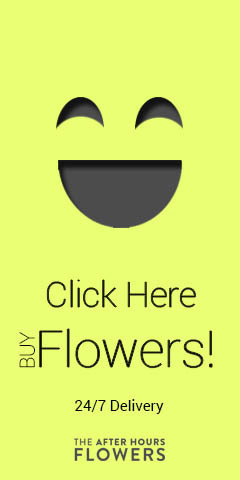 theafterhoursflowers.com. 10 Best Flowers for Valentines Day! 10 Best Flower Types For Valentines Day! When you get flowers, don’t just think they are a pretty centerpiece. Look into the message your sweetheart is trying to send you. Does your lover treat you like royalty? Then you had better consider adding at least a few lilies to your Valentine's Day bouquet! A stargazer lily signifies that your sweetheart thinks you’re ambitious. An orange day lily means your valentine thinks you're enthusiastic! Tulips are another Valentine’s Day favorite. If your valentine sends you white tulips, they are asking for forgiveness. Yellow tulips mean they are hopelessly in love with you. Pink tulips mean they care for you. And lastly, if you get red tulips, your valentine is declaring their love to you! A popular Valentine’s Day flower is orchids. There are many types of orchids, including phalaenopsis, cymbidium, dendrobium and more! They all mean "you are a delicate beauty." Daisies indicate purity, innocence, loyal love, beauty, patience and simplicity. That's a lot of meaning for one little flower! Daisies and other chrysanthemum varieties are also very long-lasting and inexpensive! Gerbera daisies traditionally meant beauty and innocence but in these modern times they are used to express cheerfulness! The iris itself symbolizes eloquence, and it comes in rich color varieties. The purple iris sends sentiments of wisdom and compliments. The blue iris symbolizes faith and hope. The yellow iris communicates passion and the white iris symbolizes purity. Red carnations send a message of love, pride and admiration for your valentine. They are not the most popular flower, but they actually smell wonderful and last for weeks! They are nice to mix in with roses. The alstroemeria flower is a symbol of wealth, prosperity and fortune. It is also the flower of friendship. Another name for the alstroemeria is a peruvian lily. They are much smaller than regular lilies, and they come in a huge variety of colors! We all know this flower, it's little and fragrant, and often is paired with red roses! It's meaning is everlasting and undying love. While it applies mostly to romantic relationships, this meaning also applies to family and platonic relationships. Alright, we know what you're thinking. Why send pink roses when everyone else sends red roses? Firstly, it will stand out. While the red rose means love, the pink rose is a classic symbol of grace and elegance, and is often given as a symbol of admiration and appreciation. The pink rose is a great choice for the relationships that have a very strong bond.